Burlington Mall turns 50 this year and as part of a $60-million overhaul, the centre is being rebranded with a focus to become a community gathering place. 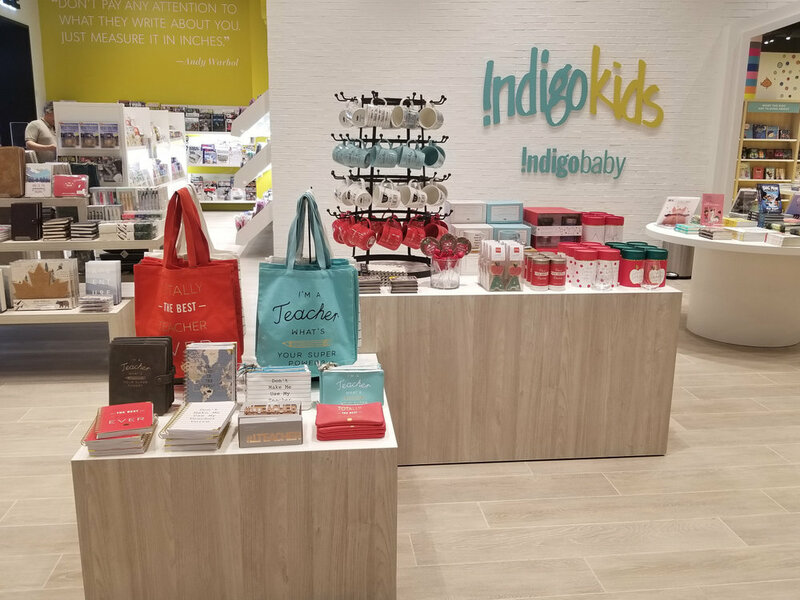 It’s now called ‘Burlington Centre’, and landlords RioCan and KingSett Capital have been responsible for renovating and adding several new retailers as part of the mall’s repositioning. Part of the mall’s overhaul involved repurposing its Target space — the Minneapolis-based retailer exited its Canadian operations in early 2015. The anchor space was demised and several new retailers were added. It’s part of an effort to create a focal point for the suburban community, which is located between Hamilton and Toronto on the shores of Lake Ontario. Some new additions to Burlington Centre’s former Target space include popular specialty grocery retailer Denninger’s, which opened in April of this year. Indigo and Starbucks both moved into the former Target space as well, and Winners was relocated into a larger space. Several national eateries were also added to the new Burlington Centre, including Blaze Pizza, Five Guys, Freshii, and Mr. Greek. A new entrance fronting onto Guelph Line was unveiled as part of the renovation. 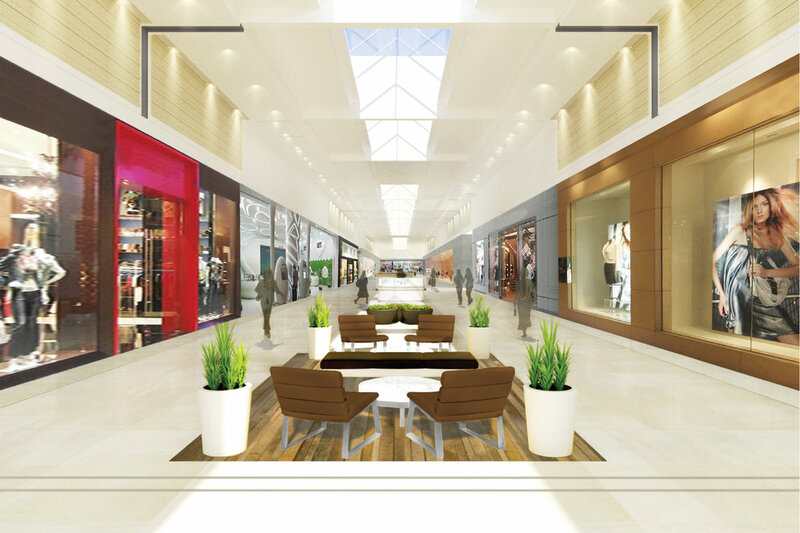 Other mall upgrades include new flooring, lighting, a new corridor connecting the existing food court to the HomeSense corridor, washroom upgrades, new ceilings in the food court, and new comfortable furniture that reflect's Burlington Centre's rebranding. 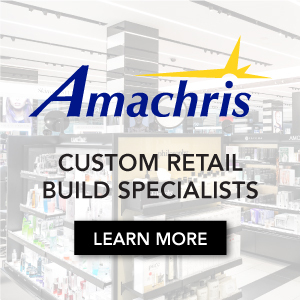 Retail is changing, and large-format retailers such as department stores are becoming a thing of the past. Sears Canada also recently closed its operations and Hudson’s Bay now remains as the country’s sole traditional department store chain. Hudson’s Bay operates a 145,000 square foot store at Burlington Centre, which is, interestingly, one of two Hudson’s Bay locations in the relatively small city of Burlington. 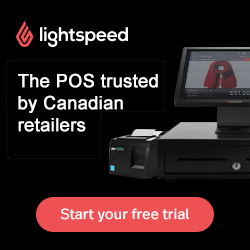 “We were careful to ensure the changes we made to our branding, tenant mix and physical space were reflective of the preferences of shoppers and changes in the community,” says John Ballantyne, Senior Vice President, Asset Management at RioCan. “We are proud of our history here, and excited to provide what the community is looking for in the near and long-term. We look forward to being part of the continued growth and prosperity of the Burlington community." Several more retailers will be opening at Burlington Centre this fall including Chinese variety retailer Miniso, which positions itself as a Japanese lifestyle brand with plans for about 500 Canadian stores over the next several years. As part of Burlington Centre’s 50th anniversary, a year-long campaign was launched in the spring that focuses on supporting local organizations and hosting and/or participating in community events. First was the ‘BurlingtonGreen's Clean-Up Green Up’, with the shopping centre supporting the Burlington Fine Arts Foundation for Mother’s Day. Burlington Centre subsequently teamed up with the ‘Sound of Music Festival’ to host two pop-up concerts at the property ahead of the 2018 festival. As well, the centre recently helped launch the Gift of Giving Back’s summer campaign with BOMBA baseball. Community programming will continue this September with a new partnership between Burlington Centre and the local Terry Fox Run for 2018 and in October, Burlington Centre will host a grand opening which will officially mark the end of renovations. Burlington Centre is the largest mall in Burlington, spanning about 738,000 square feet. The city has a population of more than 260,000 people which is expected to grow by 16% by 2027, with a trade area that is substantially larger. The area is remarkably affluent with an average household income surpassing $150,000 annually within a 10-km radius of the centre. It’s a family-oriented community with 48% of households having children, which makes Burlington Mall’s repositioning a smart move. According to a leasing brochure, Burlington Mall’s productivity is about $517 per square foot as of June of 2018. Burlington Centre is one of two major shopping centres in the city of Burlington. About three kilometres southwest of the centre is Mapleview Shopping Centre, a 635,000 square foot mall which houses Burlington’s other Hudson’s Bay store, as well as national and international retailers such as Apple, Aritzia, Brown’s Shoes, Michael Kors and Zara. 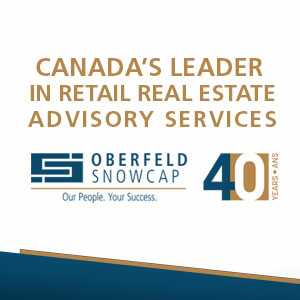 Landlord Ivanhoé Cambridge confirms sales exceeding $900 per square foot annually, which will be discussed further in the upcoming Retail Council of Canada Shopping Centre Study which will be put together again this year by Retail Insider’s Craig Patterson. Other competing malls in the area include CF Limeridge in Hamilton and Oakville Place in affluent Oakville. The area also houses several smaller shopping centres, big-box and strip mall retail, and urban street-front retail in the downtown communities which dot the sprawling suburban landscape that characterizes the Ontario ‘Golden Horse Shoe’. Further northeast in Mississauga is the massive Square One Shopping Centre and over the border in Toronto is the CF Sherway Gardens, both considered to be leading centres for the region. We’ll do a follow-up to this article in October when renovations to Burlington Centre are completed, and new retailers have opened.